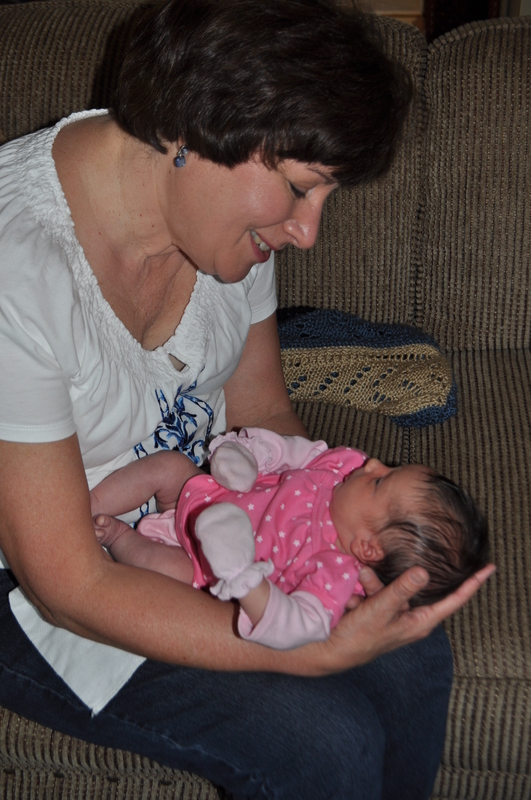 This weekend we celebrated Easter with my in-laws and it was fabulous. It was a beautiful day, Tom got to hunt eggs with his sweet cousins, Alice got to hang out with everyone and I got to eat real food that I didn’t have to make. 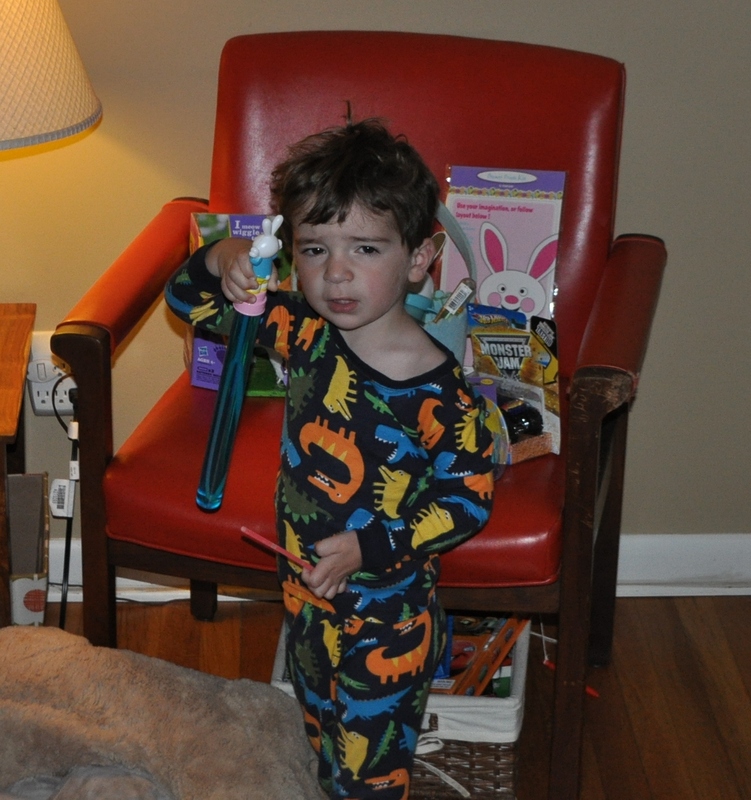 I all sorts of love this photo of Tom on Easter morning. Hilarious. 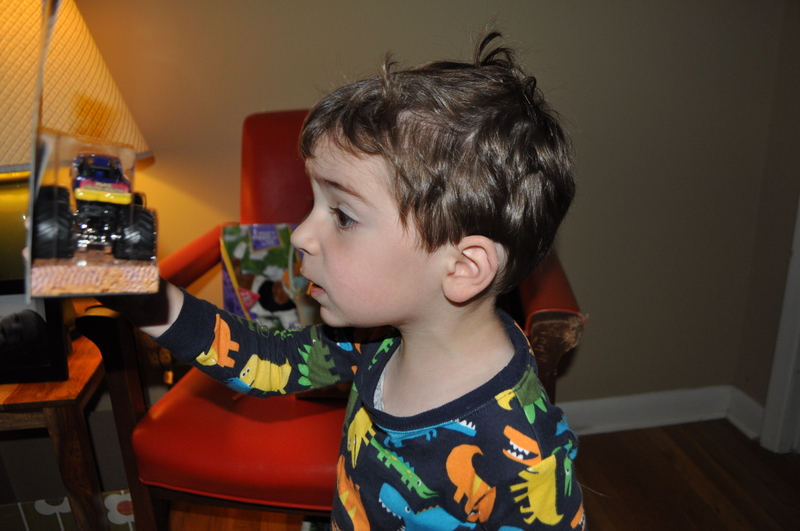 The Easter Bunny left Tom a monster truck! Smart Easter Bunny. 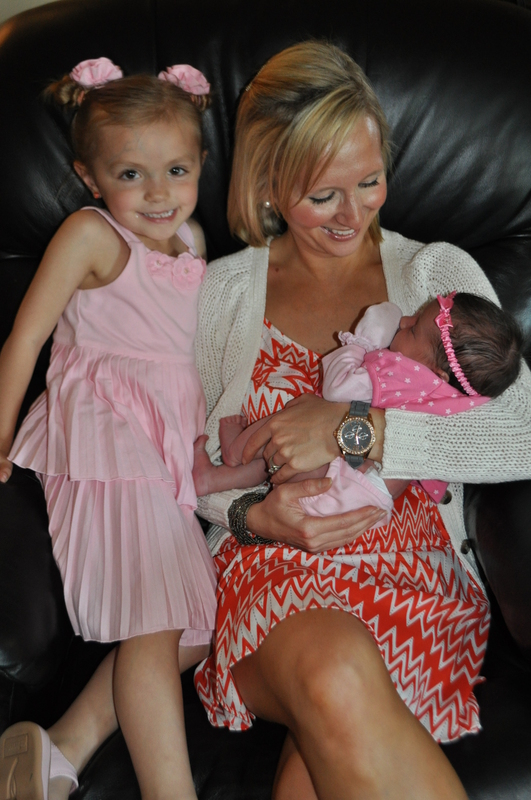 Alice with Aunt Amy and cousin Laney! 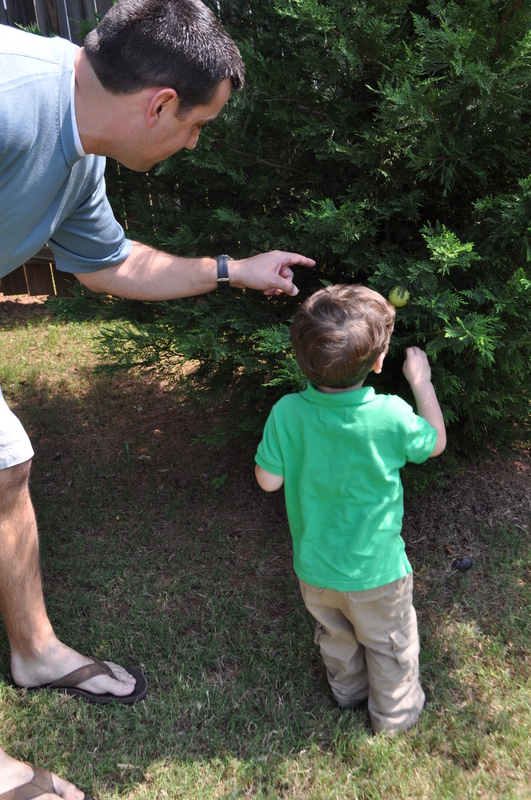 Uncle Kyle helping Tom with the egg hunt. 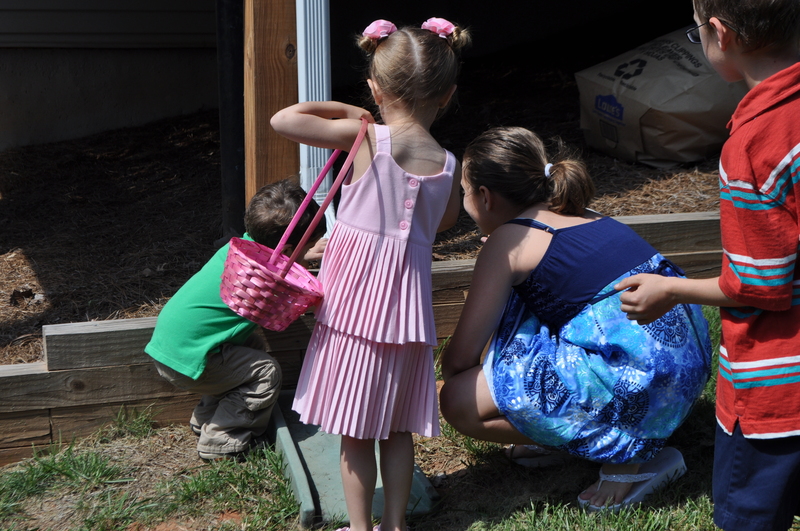 Tom’s cousins helping him find an egg — so sweet! 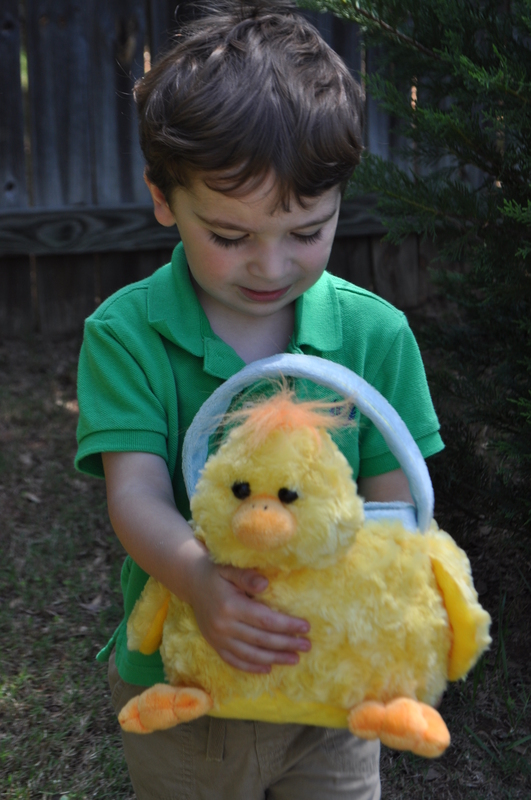 We had a wonderful Easter weekend and I hope you guys did, too! This entry was posted in Alice, Bits, Family, Kevin, Motherhood, Tom. Bookmark the permalink. 2 Responses to Bits: Easter Weekend. Tom is looking so much older in your pics! Looks like everyone had a wonderful time! Hugs!!! !